Life in the Clouds: Sunday Snapshot: Mini-Camp & Despedida! 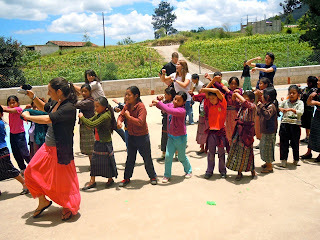 Sunday Snapshot: Mini-Camp & Despedida! This week we had Mini-Camp in Central! We taught the kids about science, danced, and made crafts! 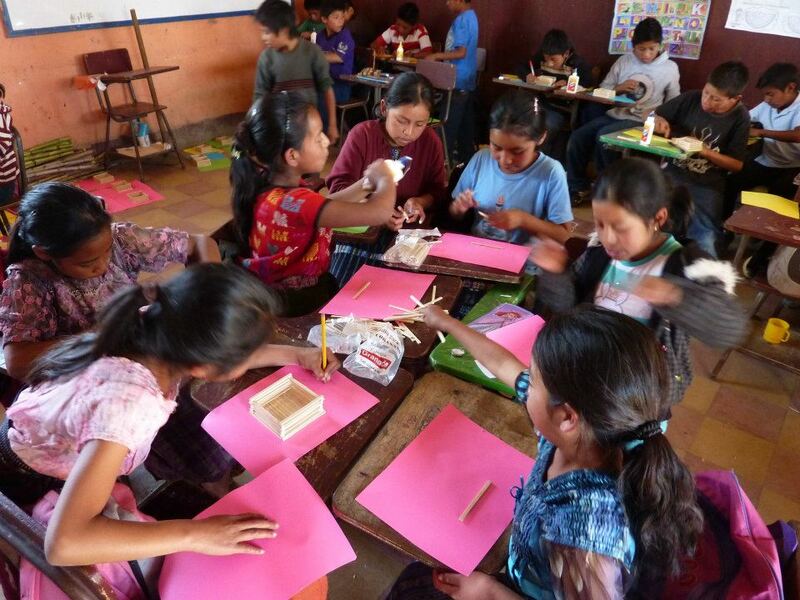 Girls crafting away making popsicle stick boxes. Doing "The Wobble" at the end of the week! The summer interns, Dana, and Lorena, also said their goodbyes to the community. It is certainly bittersweet as they said goodbye, but the new PD's are all very excited to carry on their great work! 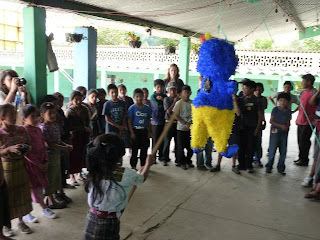 The kids loved the "despedida" piñata at the Cooperativa goodbye party.